The acclaimed sub-Saharan Africa’s biggest mobile devices distributor, TD Mobile has landed in the city of Accra, capital of Ghana, just as it partners Nokia to boost penetration, reports ITRealms. 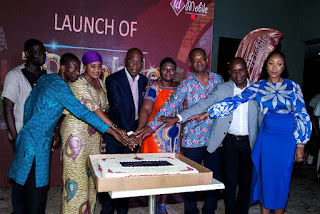 This, ITRealms gathered, commenced with the official launch of its operations in Ghana, even as TD Mobile was appointed exclusive distributors of Nokia mobile phones in the West African country. The event held at the Villa Monticello Boutique Hotel, Airport Residential Area, Accra on Friday October 27th 2017, ITRealms also gathered, witnessed who is who across the representatives of key government functionaries from the Ministry of Communication, Ministry of Business Development, Ministry of Trade and Industry, captains of industries; major telecoms companies and stakeholders in the smartphone reseller and consumer space. Equally present was the Chairman, Zinox Group, Dr. Leo Stan Ekeh, the Lithuanian Ambassador to Ghana, Mr. Joseph Syme; Managing Director/CEO, United Bank for Africa (Ghana) Ltd., Abiola Bawuah; CEO, Ghana Free Zone Board, Michael Bafi and a host of celebrities from the movie and entertainment industries. With the official launch of TD Mobile in the Ghanaian capital, Accra, expectations are rife of an astronomical rise in smartphone penetration which currently hovers around 21 per cent in Ghana. Hopes are also high for improved access to genuine quality mobile devices at the right prices for the majority of Ghanaians. “We are extremely delighted to extend our operations to Ghana which remains one of the most prominent markets in the West African sub-region. We are also excited with our appointment as exclusive distributors of Nokia mobile phones in the country,” Managing Director, TD Mobile, Mrs. Gozy Ijogun enthused. “With a predominantly youthful population, stable political system and an admirably aspirational mindset among its people, there is so much potential in Ghana. We are optimistic that, with the launch of TD Mobile and the unveiling of new lines of products and partnerships here, the rate of technology diffusion and smartphone penetration will reach unprecedented levels. The positive effects of these on the economy and the standard of living in the country are huge and we are so excited to be a part of it,” she concluded. With its wide reach and presence in major cities and other West African capitals, TD Mobile possesses the latent capacity to take every brand on its stable to every nook and cranny in the hinterlands and to every action station in any metropolis. In addition to pioneering the use of online serial number confirmations which allows user authentication of all mobile devices, TD Mobile has also carried on the legacy of its parent company by distributing only genuine products sourced directly from the Original Equipment Manufacturers (OEMs). 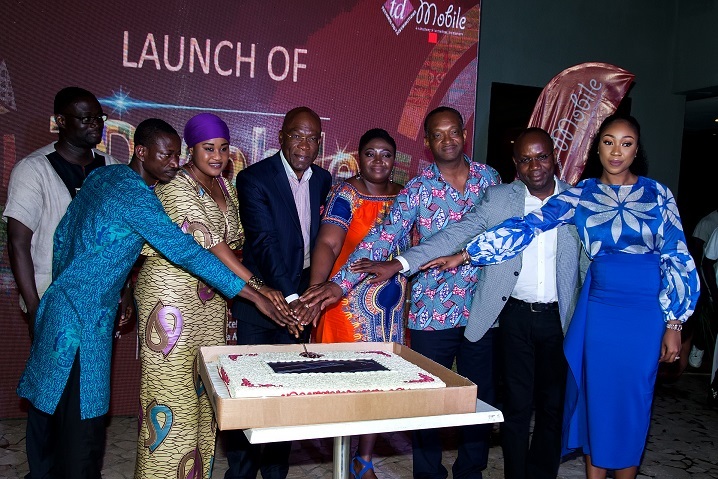 Pix: TD MOBILE launches in Ghana: R-L: Managing Director, TD Mobile, Mrs. Gozy Ijogun; HMD Global’s General Manager, West, East and Central Africa, Mr. Joseph Umunnakwe; Board Chairman, Volta River Authority, Mr. Kweku Awotwi; Managing Director/CEO, United Bank for Africa (Ghana) Ltd., Abiola Bawuah; Chairman, Zinox Group, Leo Stan Ekeh; Managing Director, Alliance Marketing, Mrs. Hanannah Ibrahim; Managing Director, Atlantic Phones, Kwesi Nitri and representative of the Minister of Trade/Industry and Head, Communication and Public Affairs in the Ministry, Mr. Boakye-Boateng Prince during the official launch of TD Mobile and unveiling as exclusive distributors of NOKIA mobile phones in Ghana at the Villa Monticello Boutique Hotel, Airport Residential Area, Accra on last Friday.